Tim Ward, host of the Adventures in SciFi Publishing podcast, kindly invited me to co-interview science fiction and fantasy writer, Kay Kenyon. Kay was a fascinating guest, and I am sure you will enjoy what she had to say, about her novel, A Thousand Perfect Things, and other topics which the book touches upon. You’ll also find my review of the novel on the podcast’s website. It’s Only Time album – out now! 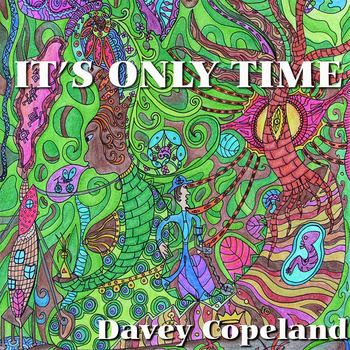 Canadian violinist/composer, Davey Copeland, has just released his latest album, It’s Only Time. I met Davey just this year, and he and his girlfriend, Suzie Frischmann, who created the amazing cover art, stayed with us for a couple of months. The album was inspired by our area in the mountains of Bulgaria, and it was composed and recorded in our home. Using multi-tracking, and lots of other clever stuff, with some guitar, vocals and percussion thrown in for good measure, Davey has created a magical melange of musics. Hypnotic, ethereal, beaty, cool and jazzy – impossible to describe, and impossible not to enjoy. Do consider picking up a copy.